This is the Ethiopia Gera Farm brought to you by Kuma Coffee. Grown by the Omer Ali in the Goma Woreda, Jimma region at 2,100 meters, this fully washed coffee is a perfect example of why we love coffees from Ethiopia. We love this coffee for its nuanced notes of wildflower honey, blackberry, and mango. Incredibly strong notes of ripe cherry are crisp and pronounced alongside the delicate sweetness of honey. Classic, defined acidity of an Ethiopian coffee, yet the notes aren't as singular and narrow as you'd expect from a single origin. Give the coffee some room to breathe and it will develop incredible floral notes that accent its forward brightness. As the cup cools, mango and a slight woodiness begin to show near the finish. Just brewed this cup on V60. 18 g / 305 g EK 5tropical fruit aroma with flavors of blackberry and fig supported by a nice caramel back bone. overall a really tasty cup with great structure. This was my first time ever trying Kuma so I was stoked to receive this coffee. I would definitely be interested in more coffees like this. The Gera is a very good coffee from Ethiopia; don't be deceived by the packaging. It doesn't look like much, but what you get in your cup is a very balanced, smooth pour that you are happy to drink over and over again. Solid notes but finicky to brew which is frustrating. When right it tastes great but unless the brew method is nailed its meh. 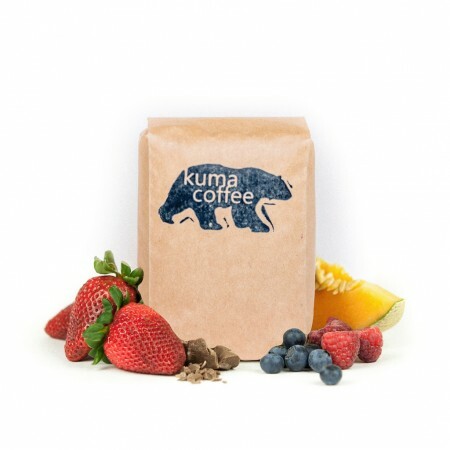 kuma is great at finding and roasting coffee to the highest quality. this is an easy 5er. sweet, fruity, complex, and delicious. looking forward to other kuma offerings this year! I've tasted this flavor of coffee before and I really dislike it. Tastes more like bitter cardboard than something I'd look forward to every morning. Less of this please! This coffee is good but the tasting notes haven't stood out to me much. tastes like a pretty standard cup of joe.